Can Dropping Some Weight Save Your Knees? Can Smartphone Use Bring on Carpal Tunnel Syndrome? Anti-cyclic citrullinated peptide antibody, arthritis, arthroscopy, Becker's muscular dystrophy, computed tomography, connective tissue, convulsions, crepitus, CT, depression, dermatomyositis, DEXA, dual-energy x-ray absorptiometry, Duchenne muscular dystrophy, Dupuytren's contracture, electromyography, epicondylitis, erythrocyte sedimentation rate, ESR, fibromyalgia, fibromyositis, fibrositis, gastroesophageal reflux disease, GERD, IBS, involuntary muscle, irritable bowel syndrome, joint noises, joint stiffness, magnetic resonance imaging, MD, MRI, muscle atrophy, muscular dystrophy, myalgia, myofascial pain, myofascial release, osteoarthritis, osteomyelitis, PMS, polymyositis, premenstrual syndrome, proximal myopathy, rhabdomyolysis, rheumatoid arthritis, spinal muscular atrophy, synovial fluid, temporomandibular joint disorder, tendonitis, tenosynovitis, TMJ, voluntary muscle. The musculoskeletal system includes bones, muscles, joints, ligaments, tendons, and bursae (fluid-filled sacs). Any of these components can be injured by trauma or affected by a number of diseases causing joint, tendon, and muscle problems. Bodily movement is made possible by the interaction of the muscular and skeletal systems; for this reason, they are often grouped together as the musculoskeletal system. The skeletal system serves many important functions, including providing the structure for the body. The skeletal system comprises 206 bones that form a rigid framework. Muscles are connected to bones by tendons. Tendons are tough yet flexible bands of fibrous tissue. Bones are connected to each other by ligaments. Ligaments are fibrous bands or sheets of connective tissue linking two or more bones, cartilages, or structures together. Where bones meet one another is called a joint. Muscles that cause movement of a joint are connected to two different bones. The muscles contract (get shorter) and relax (get longer) to cause movement. An example would be the contraction of the biceps (a muscle located on the front of the upper arm) and a relaxation of the triceps (a muscle located on the back of the upper arm). This produces a bend at the elbow. The contraction of the triceps and relaxation of the biceps produces the effect of straightening the arm. Common symptoms of joint, tendon, and muscle problems include inflammation, pain, weakness, stiffness, joint noises, and decreased range of motion. Inflammation can result from many conditions, including musculoskeletal disorders, autoimmune disorders, obesity, and infections. When inflammation occurs in a joint, fluid may accumulate inside the joint, causing swelling and decreased range of motion. Pain is the main symptom of most joint, tendon, and muscle disorders. The pain may be dull, sharp, radiating, or local and may be mild to severe. Although pain may be acute (immediate), as is the case with most injuries, it may become chronic (long-term) with illnesses such as rheumatoid arthritis. Symptoms of muscle pain include pain, weakness, paralysis, muscle spasms, and coordination problems. Symptoms of joint problems include pain, swelling, stiffness, and/or fever in the joints. In the absence of an injury, pain in one or more of the joints is often caused by inflammation or infection. Stiffness is the feeling that the range of motion of a joint or muscle is more limited than normal or difficult to move. Some people with stiffness are capable of moving the joint through its full range of motion, although with difficulty. Joint stiffness usually is worse immediately when arising after lying or sitting still. Joint stiffness is common with arthritis. Joint noises, such as creaks and clicks, are common and harmless in many individuals, but they can also occur with specific problems of the joints. 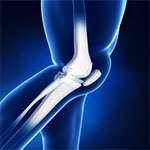 For example, the base of the knee cap may creak when it is damaged by osteoarthritis. Symptoms of tendon problems include pain, tenderness, redness, warmth, and/or swelling near the injured tendon. Pain may increase with activity. Symptoms of tendon injury may affect the precise area where the injured tendon is located or may radiate out from the joint area, unlike arthritis pain, which tends to be confined to the joint. Other symptoms include crepitus, or a crunchy sound or feeling when the tendon is used. Crepitus is usually painful. Crepitus may occur in osteoarthritis when the cartilage around joints has eroded away and the joint ends grind against one another, or when the fracture surfaces of two broken bones rub together. Pain and stiffness may be worse during the night or when getting up in the morning. Stiffness may occur in the joint near the affected tendon. Movement or mild exercise of the joint usually reduces the stiffness. However, a tendon injury typically gets worse if the affected tendon is not allowed to rest and heal. Too much movement may worsen existing symptoms or bring the pain and stiffness back after improvement. A clinician can often diagnose a joint, tendon, and muscle disorder based on the symptoms and on the results of a physical examination. Laboratory tests, imaging tests, or other diagnostic procedures are sometimes necessary to help the clinician make or confirm a diagnosis. Physical examination: When a person complains of muscle pain, the clinician checks muscles for bulk and texture and for tenderness. Muscles are also checked for twitches and involuntary movements, which may indicate a nerve disease rather than a muscle disease. Clinicians look for wasting away of muscle (atrophy), which can result from damage to the muscle or its nerves or from lack of use, as sometimes occurs with prolonged bed rest. Clinicians also look for muscle enlargement (hypertrophy), which normally occurs with an exercise such as weight lifting. However, when a person is injured, hypertrophy may result from one muscle working harder to compensate for the weakness of another. Clinicians try to establish the muscles (if any) that are weak and how weak they are. The muscles can be tested systematically, usually beginning with the face and neck, then the arms, and finally the legs. Normally, a person should be able to hold the arms extended, with palms up, for one minute without any sagging, turning, or shaking. Downward drift of the arm with palms turning inward is one sign of weakness. Strength is tested by pushing or pulling while the clinician pushes and pulls in the opposite direction. Strength is also tested by having the person perform certain maneuvers, such as walking on the heels and tiptoes, rising from a squatting position, or getting up and down from a chair rapidly 10 times. The clinician tests a joint's range of motion and muscle tone by moving the limb around a joint while the person is completely relaxed. Resistance to such movement may be decreased, resulting in observation of a larger range of motion than normal, if the nerve leading to the muscle is damaged. There may be more resistance to such movement and a smaller range of motion when the spinal cord or brain is damaged. If a person complains of or has observable signs of weakness, clinicians will assess their reflexes using a rubber hammer to tap the person's muscle tendon. Reflexes are involuntary responses of the nerves in the muscles caused by outside stimulus, such as the rubber hammer. Reflexes may be slower than expected when the nerve leading to the muscle is damaged. 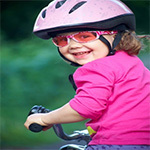 Reflexes may be more rapid than expected when the spinal cord or brain is damaged. Laboratory tests: Laboratory tests are often helpful in making the diagnosis of the underlying cause of joint, tendon, and/or muscle pain. A test called an erythrocyte sedimentation rate (ESR) test measures the rate at which red blood cells settle to the bottom of a test tube containing blood. The ESR is increased when inflammation is present. However, because inflammation occurs in so many conditions, the ESR alone does not establish a diagnosis. The level of creatine kinase (a normal muscle enzyme that leaks out and is released into the bloodstream when muscle is damaged) may also be tested. Levels of creatine kinase may also be increased when there is widespread and ongoing destruction of muscle. In autoimmune diseases such as rheumatoid arthritis and systemic lupus erythematosus (lupus), a blood test to identify autoimmune antibodies (antinuclear antibodies) is often used in making the diagnosis. Nerve tests: Nerve conduction studies measure how well and how fast the nerves can send electrical signals. Nerves control the muscles in the body by electrical signals (impulses), and these impulses make the muscles react in specific ways. Nerve and muscle disorders cause the muscles to react in abnormal ways. Nerve conduction studies, together with electromyography, help indicate the primary source of the problem causing pain. Electromyography, often performed at the same time as nerve conduction studies, is a test in which electrical impulses in the muscles are recorded to help determine how well the impulses from the nerves are reaching the connection between nerves and muscles (neuromuscular junction) and, from there, the muscles. X-rays: X-ray imaging is used most often to evaluate painful, deformed, or suspected abnormal areas of bone. Often, X-ray images can help to diagnose fractures, tumors, injuries, infections, and deformities. Also, X-ray images may be helpful in showing changes that confirm a person has a certain kind of arthritis (for example, rheumatoid arthritis or osteoarthritis). X-ray images do not show soft tissues such as muscles, bursae, ligaments, tendons, or nerves. Arthrography is an X-ray procedure in which a dye is injected into a joint space to outline the structures, such as ligaments, inside the joint. Arthrography can be used to view torn ligaments and fragmented cartilage in the joint. Dual-energy X-ray absorptiometry (DEXA): The most accurate way to evaluate bone density, which is necessary when screening for or diagnosing osteoporosis, is with dual-energy X-ray absorptiometry (DEXA). In this test, low-dose X-rays are used to examine bone density at the lower spine, hip, wrist, or entire body. Measurements of bone density are very accurate at these sites. To help differentiate osteoporosis (the most common cause of an abnormal DEXA scan) from other bone disorders, doctors may need to consider the person's symptoms, medical conditions, medication use, and certain blood or urine test results as well as the DEXA results. Computed tomography (CT) and magnetic resonance imaging (MRI): Computed tomography (CT) and magnetic resonance imaging (MRI) scans show more body detail than conventional X-rays. For this reason, CTs and MRIs may be performed to determine the extent and exact location of joint, tendon, or muscle damage. These tests can also be used to detect fractures that are not visible on X-rays. MRI is especially valuable for imaging muscles, ligaments, and tendons. MRI can be used if the cause of pain is thought to be a severe soft-tissue problem (for example, rupture of a major ligament or tendon or damage to important structures inside the knee joint). The amount of time needed to complete a CT is much less than for an MRI. Bone scanning: Bone scanning is an imaging procedure that is occasionally used to diagnose a fracture, particularly if other tests, such as X-rays and CTs or MRIs, do not reveal the fracture. Fractures may be a cause of joint pain. Bone scanning involves the use of a radioactive substance (such as technetium-99m-labeled pyrophosphate) that is absorbed by any healing bone. The technique can also be used when a bone infection or a metastasis (spread of cancer) is suspected. The radioactive substance is given intravenously and is detected by a bone-scanning device, creating an image of the bone that can be viewed on a computer screen. 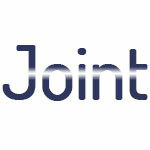 Joint aspiration: Joint aspiration is used to diagnose certain joint problems. A needle is inserted into a joint space and fluid (synovial fluid) is drawn out (aspirated) and examined under a microscope. A doctor can often make a diagnosis after microscopic analysis. For example, a sample of synovial fluid may contain bacteria, which confirms a diagnosis of infection. Joint aspiration is usually performed in a doctor's office and is generally quick, easy, and relatively painless. The risk of joint infection is minimal. Arthroscopy: Arthroscopy is a procedure in which a small (diameter of a pencil) fiber optic scope is inserted into a joint space, allowing the doctor to look inside the joint and to project the image onto a television screen. The skin incision is very small. A person receives local, spinal, or general anesthesia to numb any pain during the procedure. During arthroscopy, doctors can take a piece of tissue for analysis (biopsy), and, if necessary, perform surgery to correct the condition. Disorders commonly found during arthroscopy include inflammation of the synovium lining (a thin, layer of tissue which lines the joint space) called synovitis; ligament, tendon, or cartilage tears; and loose pieces of bone or cartilage. Such conditions affect people with arthritis or previous joint injuries as well as athletes. All of these conditions can be repaired or removed during arthroscopy. There is a very small risk of joint infection with this procedure. Depression: Some individuals with joint, tendon, and muscle problems may suffer from depression. This may happen if the joint, tendon, or muscle disorder interferes significantly with the patient's lifestyle, including causing pain. Individuals should consult their healthcare providers if they experience feelings of sadness, low self-esteem, loss of pleasure, apathy, difficulty functioning, or thoughts of suicide for two weeks or longer with no known underlying cause. These may be signs of depression. Joint damage: In some cases, joint disorders can lead to severe joint damage. In such cases, surgery, such as a joint replacement, may be necessary. Individuals should regularly visit their healthcare providers to monitor their conditions. Joint deformity: Joint deformities, major changes in the shape of a joint compared to the average shape, are acquired after birth as the result of injury or disease. An example is hand deformities commonly seen with rheumatoid arthritis. Decreased mobility: Patients with joint, tendon, and muscle disorders may have decreased mobility in their joints. Joint mobility decreases as the joint becomes more damaged. Muscular atrophy: Muscle atrophy refers to a decrease in the size of skeletal muscle, which occurs due to age, lack of use, body wasting (such as in cancer), or diseases such as muscular dystrophy (a genetic, hereditary muscle disease caused by progressive muscle weakness). When a muscle atrophies, it necessarily becomes weaker, since the ability to exert force is related to mass. General: Joint, tendon, and muscle problems are often managed with medications that reduce pain and inflammation. Treatment depends on the cause of the problem. In severe cases, surgery may be necessary to repair damage. In order to properly manage pain and prevent joint damage, individuals should take their medications as prescribed by their healthcare providers. Individuals with joint, tendon, and muscle problems should also tell their healthcare providers if they are taking any other drugs (prescription, over-the-counter, or dietary supplements) because they may interfere with treatment. Corticosteroids: Corticosteroids, such as prednisone (Deltasone®) and methylprednisolone (Medrol®), are occasionally used to reduce inflammation and pain and slow joint damage. These drugs are generally very effective when used short-term. However, if used for many months to years, these drugs may become less effective and serious side effects may develop. Side effects may include easy bruising, thinning of bones, cataracts, weight gain, a "moon" face (swelling of the face), and type 2 diabetes. Corticosteroids are usually prescribed for a certain amount of time and then the individual is gradually tapered off the medication. Individuals should not stop taking corticosteroids suddenly or change their dosages without first consulting their healthcare providers. Nonsteroidal anti-inflammatory drugs (NSAIDs): Nonsteroidal anti-inflammatory drugs (NSAIDs) have been used to relieve pain and inflammation caused by joint, tendon, and muscle problems. Some commonly used over-the-counter NSAIDs include ibuprofen (Advil® or Motrin®) and naproxen sodium (Aleve®). Higher doses of these drugs are also available by prescription. Commonly prescribed NSAIDs include diclofenac (Cataflam® or Voltaren®), nabumetone (Relafen®), and ketoprofen (Orudis®). NSAIDs may be taken by mouth, injected into a vein, or applied to the skin. 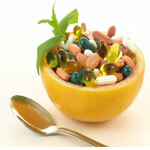 These medications are generally taken long term to manage symptoms. The frequency and severity of side effects vary between NSAIDs. The most common side effects include nausea, vomiting, diarrhea, constipation, decreased appetite, rash, dizziness, headache, and drowsiness. The most serious side effects include kidney failure, liver failure, ulcers, heart-related problems, and prolonged bleeding after an injury or surgery. About 15% of patients who receive long-term NSAID treatment develop ulcers in the stomach or duodenum. Pain relievers: Over-the-counter (OTC) pain relievers used in the treatment of joint, tendon, and muscle pain include acetaminophen (Tylenol®). It is important to monitor the amount of acetaminophen taken, as greater than 4 grams daily may cause liver damage. Prescription pain relievers, including tramadol (Ultram®), have been used to reduce pain caused by joint, tendon, and muscle problems. Although this drug, which is available by prescription, does not reduce swelling, it has fewer side effects than NSAIDs. Tramadol is generally taken as a short-term treatment to reduce symptoms of flare-ups. Narcotic pain relievers, such as acetaminophen/codeine (Tylenol with Codeine®), hydrocodone/acetaminophen (Lorcet®, Lortab®, or Vicodin®), or oxycodone (OxyContin® or Roxicodone®), may be prescribed to treat severe joint, tendon, and muscle pain. However, they do not reduce swelling. These medications are only used short-term to treat flare-ups. Common side effects include constipation, drowsiness, dry mouth, and difficulty urinating. Narcotic pain relievers should be used cautiously because individuals may become dependent upon them. Selective COX-2 inhibitors: Celecoxib (Celebrex®) has been taken by mouth to reduce pain and inflammation caused by joint, tendon, and muscle problems such as osteoarthritis. Celecoxib is currently the only COX-2 inhibitor that is approved by the U.S. Food and Drug Administration (FDA). Celecoxib is generally taken long term to manage symptoms. Topical pain relievers: Topical pain relievers are creams, ointments, gels, and sprays that are applied to the skin to alleviate pain. Many over-the-counter (OTC) pain relievers may temporarily help reduce the pain caused by joint, tendon, or muscle problems. Products such as Aspercreme®, Sportscreme®, Icy Hot®, and Ben-Gay® may help reduce arthritis pain. Capsaicin cream, which is made from the seeds of hot peppers, may reduce pain in joints that are close to the skin surface, such as the fingers, knees, and elbows. 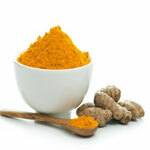 However, pain may worsen for a few weeks when beginning to use capsaicin cream. Lidocaine patches (Lidoderm®) may also be used. Lidocaine is an anesthetic and when applied topically may decrease pain associated with joint, tendon, and muscle problems. Antidepressants: Some individuals with joint, tendon, and muscle problems may also suffer from depression. Commonly prescribed anti-depressants for arthritis patients include amitriptyline, nortriptyline (Aventyl®, Pamelor®), and trazodone (Desyrel®). These drugs may also help with nerve pain associated with joint, tendon, and muscle disorders. Side effects of antidepressant medications include drowsiness, fatigue (excessive tiredness), constipation, dry mouth, and blurred vision. Lifestyle modifications: Many lifestyle changes, including regular exercise, weight management, and consumption of a healthy diet may help reduce symptoms of joint, tendon, and muscle problems. A healthcare provider may recommend a physical therapist, nutritionist, or registered dietician to help determine the best treatment plan for the individual. Individuals with joint, tendon, and muscle problems, such as osteoarthritis or rheumatoid arthritis, should wear comfortable footwear that properly supports their weight. This may reduce the amount of strain put on the joints during walking. Individuals with joint, tendon, and muscle problems may require canes, walkers, or other devices to help them get around. If the hands are severely affected, braces may be beneficial. Individuals should talk to their healthcare providers about assistive devices that are available. Individuals with joint, tendon, and muscle problems should maintain good posture. This allows the body's weight to be evenly distributed among joints. Heat application: Applying a hot pack to affected joints may help reduce pain, relax muscles, and increase blood flow to the joint. It may also be an effective treatment before exercise. Alternatively, individuals may take a hot shower or bath before or after exercise to help reduce pain. Joint replacement surgery: In some cases, individuals with joint disorders suffer from permanent joint damage. In such instances, joint replacement surgery may be necessary. During the procedure, the damaged joint is surgically removed and replaced with a plastic or metal device, called prosthesis. The most commonly replaced joints are the hip and knee, but other joints, including the elbow, shoulder, finger, or ankle joints, can be replaced. Joint replacement surgeries are generally most successful for large joints, such as the hip or knee. Researchers estimate that hip or knee replacements last at least 20 years in 80% of patients. After a successful surgery and several months of rehabilitation, individuals are able to use their new joints without pain. Viscosupplementation: Viscosupplementation is a type of therapy in which the hyaluronic acid in the affected joints can be changed through a series of injections. Hyaluronic acid (HA) is a substance found in the connective tissue of the body that cushions and lubricates the joints. Sometimes, either through the effects of aging, accident, or a disease, such as arthritis, components of the synovial fluid, including HA, may begin to break down. In patients with osteoarthritis, the concentration of HA in the synovial fluid is reduced, resulting in smaller and less effective molecules. The HA loses some of the lubricating and shock absorbing properties that protect the joint. Researchers believe that this can result in joint pain, stiffness, and perhaps an onset or worsening of osteoarthritis. Viscosupplementation injections are administered in a clinician's office. Treatment consists of a series of three to five injections, one given each week, directly into the affected joint. Relief is often felt during the injection series but full effect should not be expected until the injection series is complete. Patients report reduced pain and increased joint mobility lasting from a few months to over a year. Individuals should not receive HA viscosupplementation if they ever had an allergic reaction to any other hyaluronate preparations or are allergic to poultry products. Individuals should not receive the injections if infection or skin disease is present around the injection area. As with any injection, mild pain may occur at the injection site. Swelling, heat, and/or redness, rash, itching, or bruising around the joint may also be present. These reactions are generally mild and usually do not last long. 5-HTP (5-hydroxytryptophan): 5-HTP is the precursor of the neurotransmitter serotonin. It is obtained commercially from the seeds of the plant Griffonia simplicifolia. There is a small amount of research evaluating the use of 5-HTP for fibromyalgia, and early evidence suggests that 5-HTP may reduce the number of tender points, anxiety, and intensity of pain and may improve sleep, fatigue, and morning stiffness. 5-HTP may cause drug interaction with medications such as antidepressants and sleep medicines. 5-HTP is not recommended during pregnancy or breastfeeding, unless otherwise advised by a doctor. Acupuncture: There is evidence from several studies suggesting acupuncture may help with pain relief in fibromyalgia. More high quality studies would help to confirm these study results. Chlorella: A randomized controlled trial and one case series indicate that chlorella may reduce the tenderness associated with fibromyalgia's tender points. Although the results are promising, more high quality studies are needed to confirm these studies' findings. Avoid in patients with known allergy/hypersensitivity to chlorella, its constituents, mold, or members of the Oocystaceae family. Use cautiously in patients with hypotension, altered immune function, cancer, or taking antihypertensives, or immunomodulators. 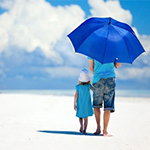 Use cautiously in patients with photosensitivity, taking photosensitizers, or exposed to the sun. Avoid long-term supplementation or with manganese supplementation. Avoid in patients using warfarin or other anticoagulant therapy. Avoid if allergic or hypersensitive to fish, omega-3 fatty acid products that come from fish, nuts, linolenic acid, or omega-3 fatty acid products that come from nuts. Avoid during active bleeding. Use cautiously with bleeding disorders, diabetes, low blood pressure, or if taking drugs, herbs or supplements that treat any such conditions. Use cautiously before surgery. Pregnant and breastfeeding women should not consume doses that exceed the recommended dietary allowance (RDA). Trigger point therapy: There have been several studies that addressed the therapeutic potential of trigger point therapy. The results of the higher-quality studies show slight, albeit not significant, improvement of myofascial pain. Many of the medium-quality studies illustrate more pronounced improvement and statistical differences. Overall, the studies indicate that trigger point therapy may be effective for myofascial pain. However, future studies need to be performed before any definitive conclusions can be drawn. Use cautiously with local or systemic infection, anticoagulation or bleeding disorders, or acute muscle trauma. Avoid aspirin ingestion within three days of injection. Avoid with extreme fear of needles, large bruises, phlebitis, varicose veins, undiagnosed lumps, or open wounds. Avoid if allergic to anesthetic agents (mainly caused by aminoester agents). Use cautiously during pregnancy. Acupuncture: Further research is needed before acupuncture can be recommended for the treatment of rheumatoid arthritis, temporomandibular joint disorder (TMJ), or myofascial pain. Alexander technique: The Alexander technique is an educational program that teaches movement patterns and postures, with an aim to improve coordination and balance, reduce tension, relieve pain, alleviate fatigue, improve various medical conditions, and promote well-being. Early case series data suggest that Alexander technique instruction may reduce symptoms of temporomandibular joint disorder (TMJ) chronic pain. More human research is needed before a clear recommendation can be made. Serious side effects of the Alexander technique have not been reported. It has been suggested that the technique may be less effective with learning disabilities or mental illnesses. The Alexander technique has been used safely in pregnant women. Chiropractic: Chiropractic is a healthcare discipline that focuses on the relationship between musculoskeletal structure (primarily the spine) and body function (as coordinated by the nervous system), and how this relationship affects the preservation and restoration of health. Further research is needed to determine if chiropractic therapy is an effective treatment for hip pain, osteoarthritis, fibromyalgia, or temporomandibular joint (TMJ) disorders. DHEA: Preliminary evidence suggests that DHEA (dehydroepiandrosterone) may not offer benefit to individuals with rheumatoid arthritis or fibromyalgia. Further research is needed in this area. Feldenkrais Method®: In early studies of patients with nonspecific musculoskeletal disorders, Body Awareness Therapy® and Feldenkrais seemed to improve health-related quality of lifeThe Feldenkrais Method® is popularly considered a useful treatment for chronic pain. However, clinical evidence of the efficacy of Feldenkrais in fibromyalgia is limited. There is currently a lack of available scientific studies or reports of safety of the Feldenkrais Method®. Glucosamine: Preliminary human research reports benefits of glucosamine in the treatment of joint pain and swelling in rheumatoid arthritis patients. However, additional research is needed before a conclusion can be made. There is currently a lack of sufficient evidence to recommend for or against the use of glucosamine (or the combination of glucosamine and chondroitin) in the treatment of temporomandibular joint (TMJ) disorders. Guided imagery: Cognitive-behavioral interventions for pain may be an effective adjunct to standard pharmacologic interventions for pain in patients with osteoarthritis or juvenile rheumatoid arthritis. Initial research for fibromyalgia also suggests possible reductions in pain and improvements in functioning. Further research is needed to confirm these results. Hypnotherapy: Although multiple trials report diminished pain levels or requirements for pain-relieving medications after hypnotherapy, there is limited research for rheumatoid arthritis pain specifically. Other signs of rheumatoid arthritis, such as joint mobility or blood tests for rheumatoid factor, have not been adequately assessed. There is inconclusive evidence from preliminary research regarding use of hypnotherapy for fibromyalgia. Additional study is needed before a firm conclusion can be drawn. Magnet therapy: Initial evidence has failed to show improvements in pain from rheumatoid arthritis or osteoarthritis with the use of magnet therapy. However, due to methodological weaknesses of this research, the conclusions cannot be considered definitive. The effectiveness of magnet therapy as an additive treatment for fibromyalgia has been assessed in preliminary studies (including the use of magnetic sleep pads). Results of recent research suggest that magnetic fields may not be helpful for this condition. Better study is necessary before a firm conclusion can be drawn. Massage: Massage may be of benefit for rheumatoid arthritis, but there is currently not enough scientific data on which to base a strong conclusion for this indication. A small number of studies report that massage may improve pain, depression, and quality of life in fibromyalgia patients. Early evidence suggests that massage may reduce the number and intensity of painful trigger points. More studies are needed regarding use of massage for myofascial pain. Meditation: It has been suggested that mindfulness meditation may help improve symptoms in patients with fibromyalgia. Better quality research is necessary before a conclusion can be formed. Early research indicates that a self-management based program of pool exercises and education may improve the quality of life of patients with fibromyalgia and their satisfaction with treatment. In one study, physical therapy did not show better effects when compared with hypnotherapy. Additional study is needed to make a firm recommendation for use of physical therapy for myofascial pain. Qi gong: There is mixed evidence regarding the usefulness of Qi gong in treating fibromyalgia. More research is needed before a conclusion can be made. Relaxation has been reported to reduce fibromyalgia pain. However, results from other studies are conflicting, and therefore further research is needed before a clear recommendation can be made. SAMe: Since fibromyalgia is characterized by chronic pain and depressive symptoms, there is an increased interest in studying SAMe for this indication. Current available evidence, however, does not appear to show any benefit of SAMe over placebo in reducing the number of tender points and in alleviating depression. Additional study is needed to confirm these findings. Avoid if allergic or hypersensitive to SAMe. Use cautiously with diabetes and anxiety disorders, or women in their third trimester of pregnancy. Avoid with bipolar disorder. Avoid during first trimester of pregnancy or if breastfeeding. Spiritual healing: There is currently not enough evidence that spiritual healing adds any benefit to conventional treatment in rheumatoid arthritis or temporomandibular joint pain (TMJ). Spiritual healing should not be used as the only treatment approach for medical or psychiatric conditions, and should not delay the time it takes to consider more proven therapies. Tai chi: There is not enough scientific evidence showing that tai chi reduces rheumatoid arthritis symptoms, although tai chi may help improve range of motion of the lower extremities. A small trial in women with osteoarthritis reported that treatment with tai chi significantly decreased pain and stiffness compared with a sedentary lifestyle. Women in the tai chi group also reported fewer perceptions of difficulties in physical functioning. More research is needed in this area. Tai chi may also aid quality of life in fibromyalgia patients, but additional study is needed to make a strong recommendation. TENS (Transcutaneous Electrical Nerve Stimulation): Preliminary studies of TENS in patients with rheumatoid arthritis, fibromyalgia, and temporomandibular joint pain (TMJ) report improvements in joint function and pain. However, most research is not well designed or reported, and better studies are necessary before a clear conclusion can be reached. Therapeutic touch: Preliminary research suggests that therapeutic touch may be an effective treatment option in relieving pain in patients with fibromyalgia. Further research is needed before a recommendation can be made. Therapeutic touch is believed to be safe for most people. Therapeutic touch should not be used for potentially serious conditions in place of more proven therapies. Avoid with fever or inflammation, and on body areas with cancer. Zinc: In limited study, zinc supplementation did not seem to have a beneficial effect on symptoms of patients with chronic inflammatory rheumatic disease. Some joint, tendon, and muscle pain associated with injuries may be preventable. Care should be taken in sports and physical activity to prevent injuries and sprains to the ankle and overuse of the joints, such as the wrist, knee, shoulder, and spine. Individuals participating in sports activities such as football, swimming, gymnastics, baseball, basketball, tennis, skiing, wrestling, and soccer may be at a greater risk of developing joint, tendon, and muscle pain. Stretching the muscles before a workout or activity helps to decrease potential injuries. Any job or activity that requires a fixed position over a long period of time can cause joint, tendon, and muscle pain. Poor job and workplace design appears to contribute to many reported discomforts. A key to preventing such discomfort is to assume a range of comfortable positions and to have adjustable furniture. Prolonged work in the same position, whether seated or standing, can cause discomfort. Where possible, movement should be incorporated into the task to prevent discomfort and fatigue. It is best to avoid standing still in one place for unduly long periods of time. The activity of the leg muscles acts as a pump and assists the veins in returning blood to the heart. Prolonged standing stops this pumping action and this may cause swelling of the lower extremities. Using a rubber or padded mat where prolonged standing cannot be avoided is recommended by healthcare providers. Mats help reduce fatigue and improve comfort. For those individuals who sit for long periods of time, a well-designed chair is very important for back support. Regular exercise may also help individuals control their weight to decrease stress on the joints, tendons, and muscles. There are many ways for people to exercise including gardening, walking, sports activities, and dancing. Individuals who are beginning an exercise program should choose activities that fit their levels of strength and endurance. The type of exercise is not as important as a consistent exercise schedule. 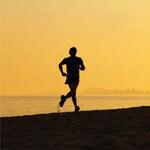 Most experts today agree that burning calories should not be the goal of exercise. Exercise that causes extreme pain or discomfort is considered by many experts as unhealthy and may even cause permanent damage to the body. Pilates is a body conditioning routine that seeks to build flexibility, strength, endurance, and coordination without adding muscle bulk. In addition, pilates increases circulation and helps to sculpt the body and strengthen the body's "core" or "powerhouse" (torso). People who do pilates regularly feel they have better posture, are less prone to joint, tendon, and muscle injury, and experience better overall health. Weight bearing exercises are very beneficial to improve muscle tone and bone strength and density. Weight bearing exercises include walking, running, hiking, dancing, gymnastics, and soccer. 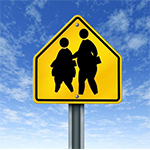 Talking with a healthcare provider about an exercise program is important. Nutritional changes along with the addition of supplements (vitamins, minerals and herbs) may be effective in reducing joint, tendon, and muscle pain. Foods high in calcium, such as spinach, kale, figs, and dairy products, are recommended by healthcare professionals. It is best to limit caffeine and other stimulants and alcohol. It is also best to stop smoking. It may be advisable to eliminate potential food allergens, including dairy (milk, cheese and sour cream), eggs, nuts, shellfish, wheat (gluten), corn, preservatives, and food additives (such as dyes and fillers). Food allergies can be a contributing factor in fibromyalgia development. If the individual is allergic to dairy products, calcium supplements are recommended. Experts recommend avoiding refined foods such as white breads, pastas, and sugar. Doughnuts, pastries, bread, candy, soft drinks, and foods with high sugar content may all contribute to worsening symptoms of fibromyalgia. Barr KP. Review of upper and lower extremity musculoskeletal pain problems. Phys Med Rehabil Clin N Am. 2007;18(4):747-60. Chakrabarty S, Zoorob R. Fibromyalgia. Am Fam Physician. 2007;76(2):247-54. Clark KL. 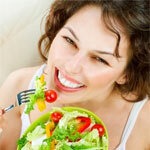 Nutritional considerations in joint health. Clin Sports Med. 2007;26(1):101-18. Littlejohn G. Regional pain syndrome: clinical characteristics, mechanisms and management. Nat Clin Pract Rheumatol. 2007;3(9):504-11. Paulson MR, Dekker AH, Aguilar-Gaxiola S. Eliminating disparities in pain management. J Am Osteopath Assoc. 2007;107(9 Suppl 5):ES17-20. Individuals who are more susceptible to joint, tendon, and muscle problems are those who tend to maintain fixed positions for extended periods of time (such as sitting in a chair or standing), perform repetitive movements of the limbs (such as factory workers), overload particular muscle groups (such as movers or manual workers), and those who apply pressure on body parts and use forceful movements (such as athletes). Previous injury to a muscle or bone will cause susceptibility to joint, tendon, or muscle problems. Joint, tendon, and muscle pain can be caused by injury to bones, joints, muscles, tendons, ligaments, bursae, or nerves. If pain occurs when there has been no injury to a joint, tendon, or muscle, or if pain from an injury persists for more than a few days, then another cause may be responsible, such as nutrient depletion of magnesium or Coenzyme Q10. Muscle pain is known as myalgia. Muscle pain is often less intense than that of bone pain but can be very unpleasant. For example, a muscle spasm or cramp (a sustained painful muscle contraction) in the calf is an intense pain that is commonly called a charley horse. The most common causes of muscle pain are: injury or trauma, overuse, and tension or stress. Other causes include: certain drugs, including ACE inhibitors for lowering blood pressure, cocaine, and statins for lowering cholesterol (these drugs may deplete certain nutrients from the body); dermatomyositis, a connective-tissue disease that is characterized by inflammation of the muscles and the skin; electrolyte imbalances, such as too little potassium or calcium; fibromyalgia, a condition that causes widespread muscular pain in the body; infections, including influenza, Lyme disease, and malaria; and a breakdown of muscle fibers called rhabdomyolysis, which results in the release of muscle fiber contents (myoglobin) into the bloodstream. Joint pain, also called arthralgia, is a symptom of injury, infection, illnesses (especially arthritis), or an allergic reaction to medication. 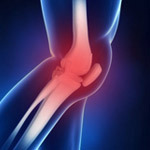 Causes of joint pain include: recent joint injury; joint strain; joint sprain; previous joint injury; infections such as influenza and the common cold; arthritis, including rheumatoid arthritis, osteoarthritis, and ankylosing spondylitis; gout; sickle cell disease; Lyme disease; acute rheumatic fever; and cancer. Bone pain due to joint damage can be deep, penetrating, dull, or sharp. Bone pain, or ostealgia, refers to pain within the affected bone. Common causes of bone pain include underlying medical disorders or past bone traumas. Other causes are: viral illness, leukemia, sepsis/bacteraemia (infection of the blood), physical trauma to the bone (such as a fall), arthritic pain, fibromyalgia, neoplasm/cancer, Paget's disease, and osteoporosis. Tendon pain, also called tendinopathy, affects joint areas, most commonly the shoulder, elbow, wrist, hip, knee, and ankle. Common causes of tendon pain include tendonitis, bursitis, tenosynovitis (inflammation of the fluid-filled sheath that surrounds a tendon), lateral and medial epicondylitis (tennis elbow), and tendon injuries. Tendon and ligament pain is often worse when the affected and inflamed tendon or ligament is stretched or moved, which happens during walking. Common causes of ligament pain include injuries (sprains).